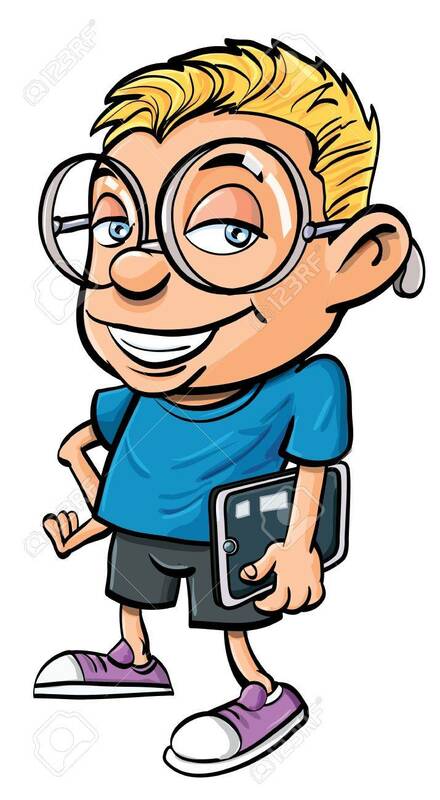 Cartoon Nerd With Glasses Holding A Tablet Computer. Isolated Royalty Free Cliparts, Vectors, And Stock Illustration. Image 14561975.